Welcome to the Annual “Coastal Swap Meet”. What started out as a small gathering of car enthusiasts cleaning out old car parts, has grown into one of the biggest automotive themed swap meets in Western Canada. 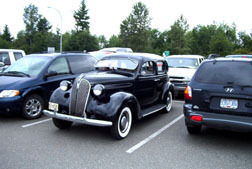 The 48th Annual swap meet will be held at the Tradex Convention Centre in Abbotsford from May 26-27th.